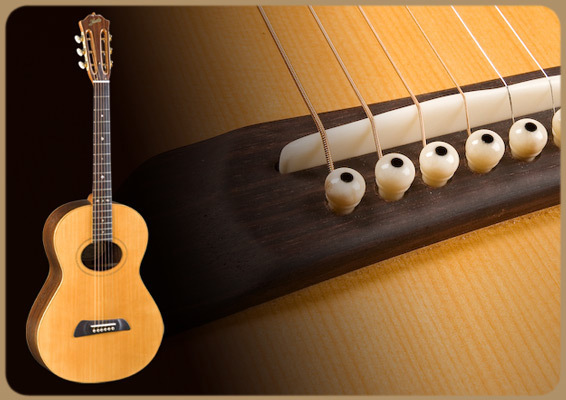 My choice of a large, oval soundhole is a result of years of experience with traditional round soundholes. I’ve studied carefully the interaction of the strings with the soundhole and the movement of air inside the instrument body. My oval soundhole contributes to a bigger, well-balanced sound that carries to the ends of a room or hall, and that can be heard over other, louder instruments when played without amplification. This gives you more control over the volume and tone and allows you to explore a more engaging musical landscape. You can create real freight train blues with sizzling solos, and a sound that will leave your audience begging for encores.